Samsung rebooting Galaxy S2 for Windows Phone 7? 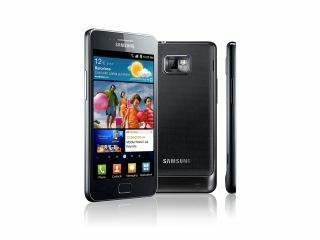 A new Samsung phone has been outed by the Bluetooth SIG board, with a codename prompting speculation that the next Windows Phone 7 device from the Koreans will be a re-badged Galaxy S2. The Bluetooth group, which tests new phones using the wireless specification before release, has seen the Samsung SGH-i937 pass through its labs, similar to the Samsung SGH-i927 (The Galaxy S2) and the Samsung SGH-i937 (also known as the Windows Phone 7-powered Focus in the US). The sequencing of the numbers has prompted many to simply believe that the phone will be an amalgamation of the two devices - and while a Galaxy S2 running Windows Phone 7 might be cool, it's far from certain. The specification of the SGH-i937 is pretty sparse - but other than Bluetooth 2.1 standard noted (which would be a step down from the S2) there's nothing else to suggest it will be a Windows Galaxy S2 hybrid. More likely is the phone will still have the Super AMOLED screen technology both the Focus and the S2 used, but will be in keeping with the new hardware spec Microsoft laid out a few months ago. We'd rate this as a very unlikely rumour at the moment, so unless Nokia wows us all with dual-core Windows Phone 7 devices during 2011 we won't be seeing a Galaxy S2 OS reboot.